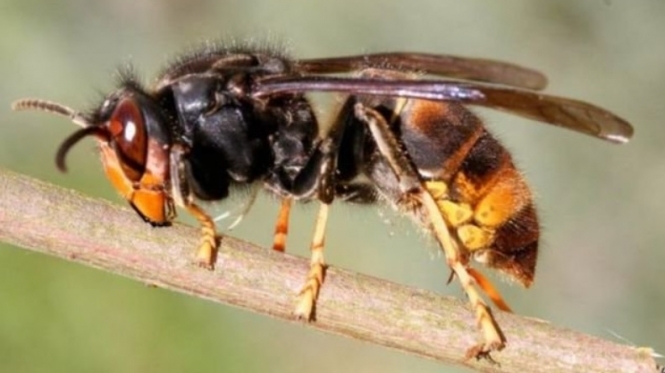 The initiative is the latest push against the Asian hornet and its nests - known in French as the “frelon asiatique” - following the death of a 54-year-old man in the nearby commune of Chaillevette, after he was stung in November 2015. Each trap kit contains a product that is specifically designed to attract Asian hornets only. The insects are expected to become more common in France in the next three weeks, as temperatures start to rise, and the animals come out of hibernation. Experts say that now is the time to begin using the traps, as catching the early “queen” hornets in the process of building their nests will likely lead to far fewer insects later in the year. Hugo Berland, head of Royan natural spaces department, Espaces Naturels Sensibles de l'Agglomération de Royan (CARA), said: “I explain to [residents] that we only want to catch the Asian hornet. We are very clear that we must not capture any other species - even the European hornet." Asian hornets arrived in France in around 2004, and have now spread nationwide. Although their venom is not more powerful than that of normal bees or wasps, they are sometimes known to be aggressive towards humans even from a distance, and - like most insect stings - can cause fatal anaphylactic shock in allergic people. The hornets also damage beehives and kill bees, damaging honey stocks and destroying the native ecosystem. Last year, beekeepers in southwest France issued a warning after the insects arrived early, and in the Dordogne, local residents “declared war” on the hornets after warm, dry weather caused them to thrive. Some residents across the country have set up their own traps, and noticed a sharp decline in hornet numbers around their property as a result - especially if the queens are captured early on. One method includes using plastic bottles filled with a mixture of syrup and beer, which traps hornets while leaving other insects alone. In July 2018, Breton beekeeper Denis Jaffré won national inventors’ award, the Grand Prix du Concours Lépine, for his innovative and original queen trap.